The brasses provide the bearing surface for the rods where they fit to the crankpins. As with the driving boxes, they provide a sacrificial material which bears the stress of the force on the driving wheels. 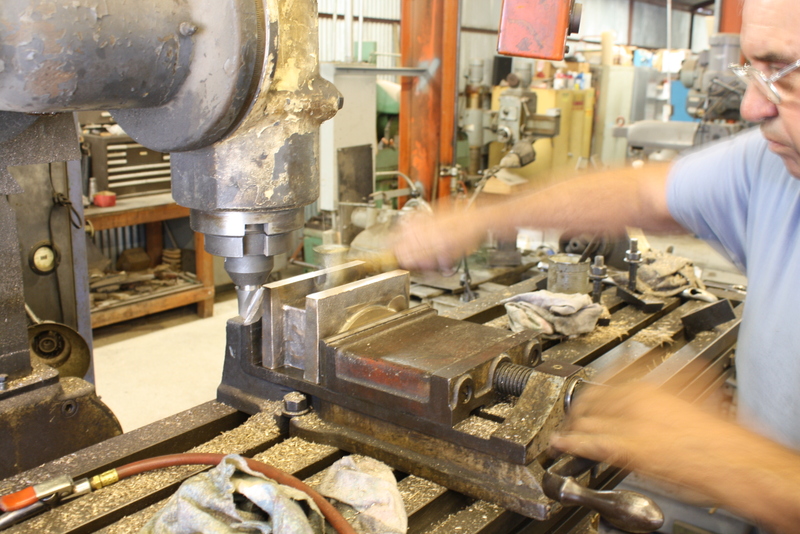 Each rod bearing is comprised of two halves which are fitted over the crank pin. 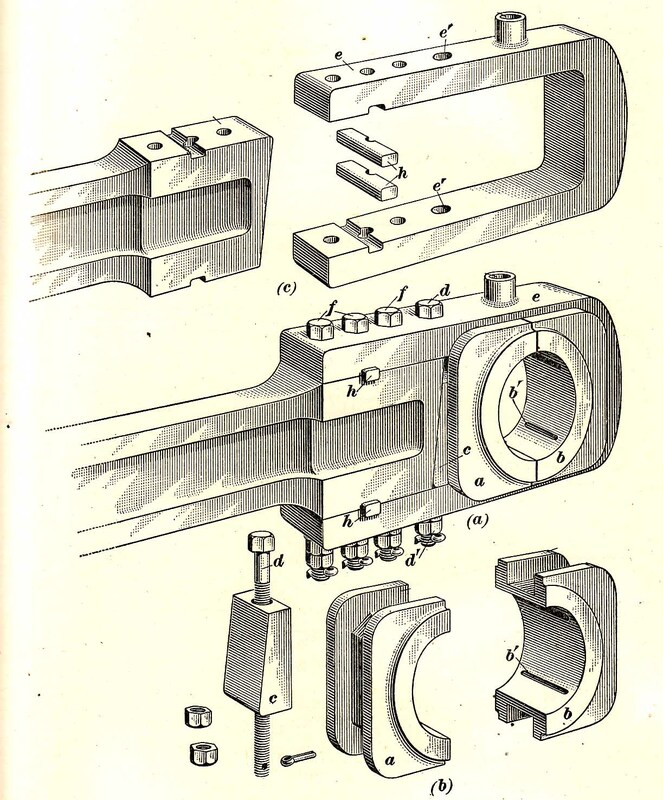 Diagram of a “modern” rod bearing. Cracked rod brass needs to be replaced. As a bearing surface, the rod brasses need to be re-machined and replaced with regular use (like the tires, or brake shoes on your car need to be routinely replaced). 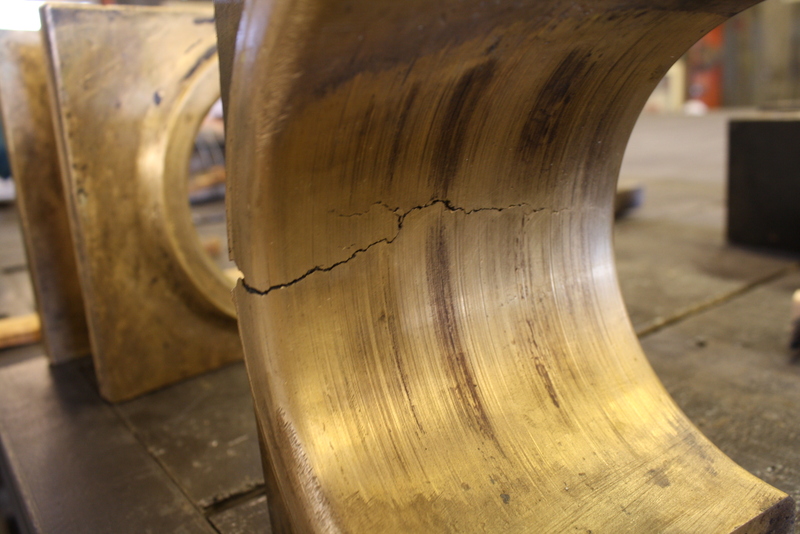 After assessment, the decision was made to replace all of the rod brasses during restoration. Models were constructed and shipped to a foundry in the San Jose area for casting. 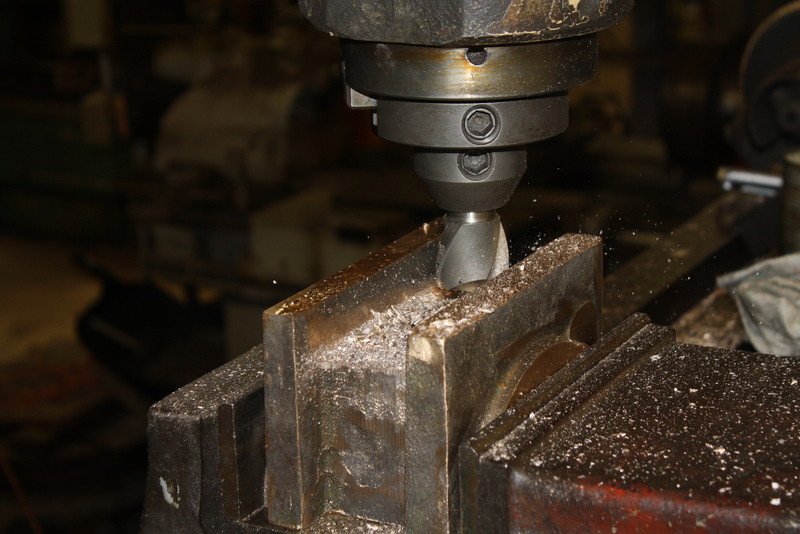 The new brasses are being machined, first to fit the outer dimensions, then finally, for the interior dimensions. Bob West position rod brass for machining. Brass is being uniformly machined on exterior edges in preparation for interior machining. This entry was posted in Driving wheels, Restoration, Sierra No. 3, Staff. Bookmark the permalink.